Need a mobile developer, cybersecurity pro or other IT expert? On ALL EC you can quickly and conveniently research all available technology solutions before making your next planning or purchasing decisions. Gather key insights and information before selecting your vendors. Visit ALL EC today. Fitbit and Google on Monday announced a new partnership on healthcare. Fitbit will develop consumer and enterprise health solutions that will use Google’s new Cloud Healthcare application programming interface. Fitbit also will move to the Google Cloud Platform to innovate and advance its products and services. Most Google Cloud products support HIPAA compliance; the move will allow Fitbit to leverage Google Cloud’s infrastructure and security features, as well as Google’s artificial intelligence and machine learning capabilities, and its new predictive analytic algorithms. One possible use is connecting user data with electronic medical records, or EMRs, to provide both patients and healthcare professionals with a more comprehensive view of a patient’s profile, which would facilitate more personalized care. Another possible use is helping better manage chronic conditions such as diabetes and hypertension by using services such as Fitbit’s Twine Health — the health coaching platform developed by Twine, which was acquired by Fitbit in February. Twine will let healthcare professionals and patients more easily collaborate using Google’s Cloud Healthcare API. Fitbit pledged to maintain its commitment to protecting consumer data. The Google Cloud Healthcare API uses standard schema to simplify taking in and storing healthcare data, said Joe Corkery, Google Cloud’s head of product healthcare and life sciences. It then provides connectors to Google Cloud’s analytics, such as BigQuery, and machine learning, such as Cloud ML Engine, he told TechNewsWorld. 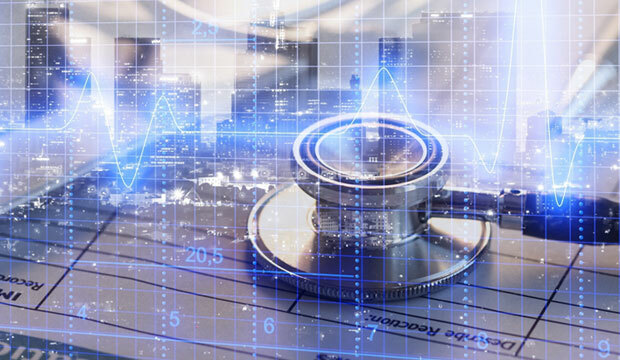 There are a few components essential to making healthcare a successful offering, according to Ray Wang, principal analyst at Constellation Research. One of those components is massive capture of consumer data, which “is where Fitbit comes in,” he told TechNewsWorld. In a nutshell, the current state of EMRs is “sh*tty,” Wang said. The Fitbit-Google Cloud partnership “is mostly upside,” because “players like Epic have destroyed the market with a monopoly on legacy tech,” he continued. “It costs (US)$250,000 for a hospital to add a button on Epic; they’ve destroyed innovation in the market and enslaved the physicians,” Wang observed. Still, EMR adoption has been on the rise, as both health insurance providers and the United States government have been insisting on them, remarked Michael Jude, research manager at Stratecast/Frost & Sullivan. “There are two drawbacks to this deal,” suggested Ian Campbell, CEO of Nucleus Research. “One, Fitbit customers will have privacy concerns, and partnering with Google increases the anxiety around that,” he told TechNewsWorld. “Two, Google’s history with wearables isn’t exactly positive. For example, Google Glass is now the poster child for creative ideas that never translated into a good, or even viable, product,” Campbell said.